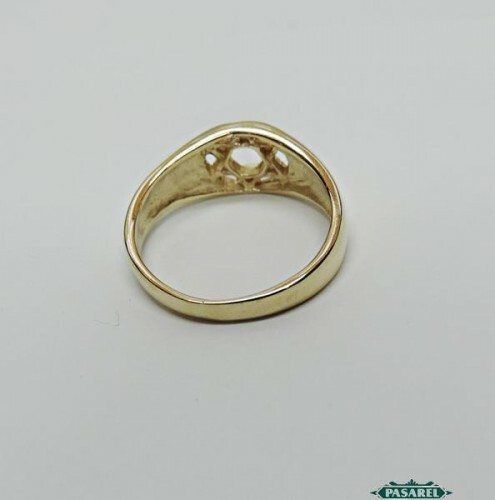 A 14k yellow gold delicate ring, very comfortable, wider in the front and narrower at the back. 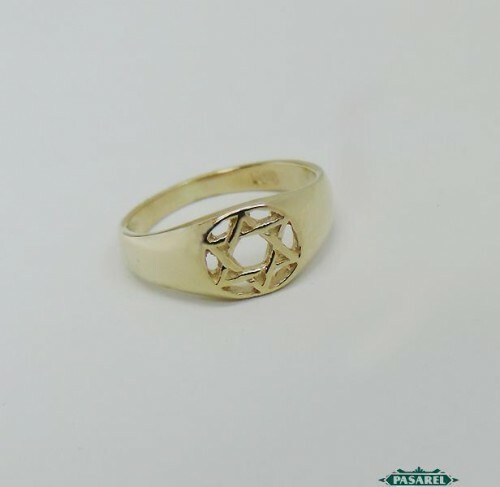 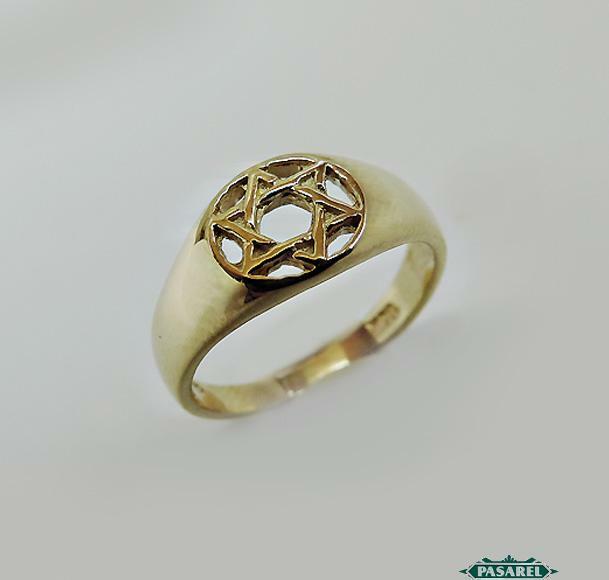 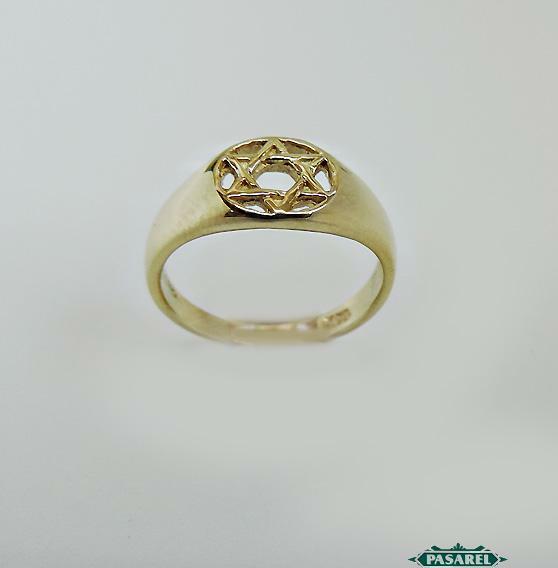 The center of the ring is a pierced work showing a Star of David (Magen David) in a round frame. 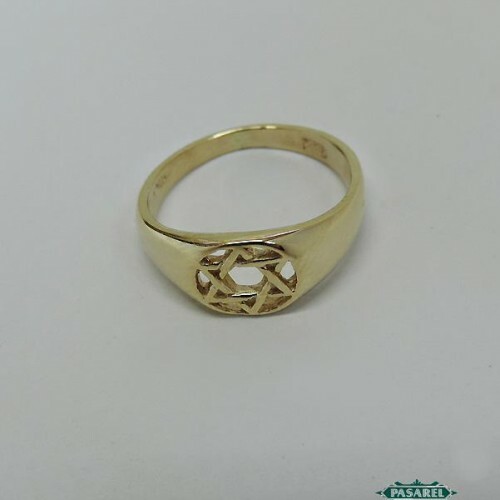 Front width – 7.5mm / 0.295in. 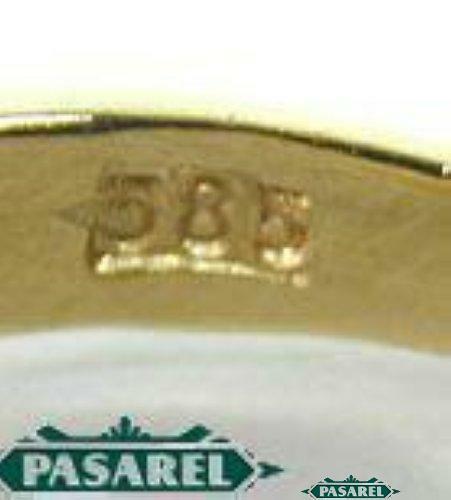 Back width – 2mm / 0.07in.